It's Monday again and there are several casinos that is running interesting promotion this day. We are focusing on a special promotion from Thrills where players can get free spins with no wagering requirements attached. Also there are more campaigns coming at this uk casino this week so make sure you visit the casino continuously during the week if you love free spins like we do. There is also a new welcome offer to check out at Thrills and this offer is including valuable Super Spins that you might heard of before. These Super Spins are worth £1 per spin instead of 0.1£ which is the standard value. 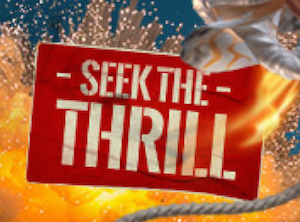 In other words there are many reasons to why you should check out Thrills right now! During this Monday Thrills is running a segmented campaign for their players. This means that the campaign that is running might look different for different players. This also means that more loyal players will get a more valuable offer than players that have never made a deposit. But the smallest offer you will get this Monday includes no less than 25 free spins with no wagering requirements and this is actually fairly good. If you are a real loyal member you can expect to get some valubale Super Spins instead. Although you first need to qualify for the spins by making a deposit of £25 or more to Thrills and wager the amount in the casino at least 5 times. And this needs to be done before 6 pm this Monday. If you succeed to qualify you will get your free spins or Super Spins into your account by 8 pm and the game you can use the spins in is Jimi Hendrix from Netentertainment. If you haven't experience the joy of playing at Thrills yet you can easily become a member now. If you sign up through our site you will get an exclusive welcome offer with free spins no deposit. 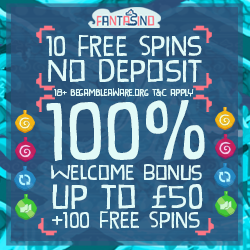 Just sign up through our link above and you will get 10 free spins to play with without having to make a deposit. These exclusive welcome spins are valid for you on Starburst. Then when you make your first deposit to this funny online casino you will get something really special. 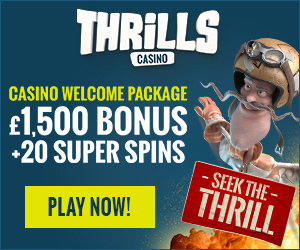 Thrills is actually the first online casino to offer Super Spins to new members. So when you make your first deposit to Thrills you will get 20 Super Spins to play with. These special spins are worth £1 per spin and no wagering requirements are attached which is awesome! You will also get a generous casino bonus of 200% up to £100. But this is not the only thing that you will get as a new member of Thrills. In connection to your following deposits you will get even more bonus and in total you can claim amazingly £1500 in welcome bonuses at this uk casino!